I am very proud to now have a bridal jewelry shop open on Etsy (BridalStrandz) I may or may not add these to my website as well. We'll see how it goes. 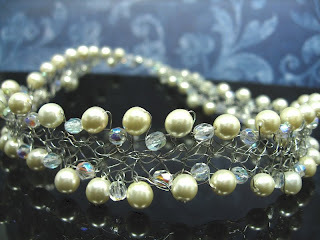 I have enjoyed being a part of making several brides' jewelry over the past few months with some very special requests. 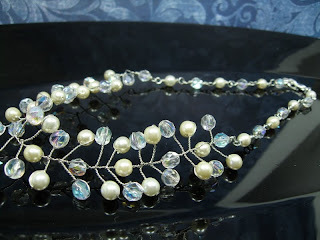 I love the elegance of pearls and crystals, and that I can offer quality jewelry for fractions of the costs of brick and mortar bridal boutiques. I mean really, some of them are just outrageous, and it's not even quality jewlery. If you are in the Houston area getting married, I would be pleased to work with you and even meet with the bride or bridal party to special fit lengths at no extra charge so that they are perfect for the necklines of those dresses!! Please visit (and bookmark, and pass it on) http://bridalstrandz.etsy.com, and new items will be added daily. silver Gemstones Handmade Jewellery. And also they have white gold 18kt Diamond Jewellery with Ruby, emerald and sapphire. You can visit them here www.riyogems.com/index-1.asp or www.riyogems.com please visit online shopping section and you can securely use your credit card to order the goods. The entire items are made in India. hi I'm Anil from Nepal. I'm a gold smith. I've some new design that u may like. so check this out.